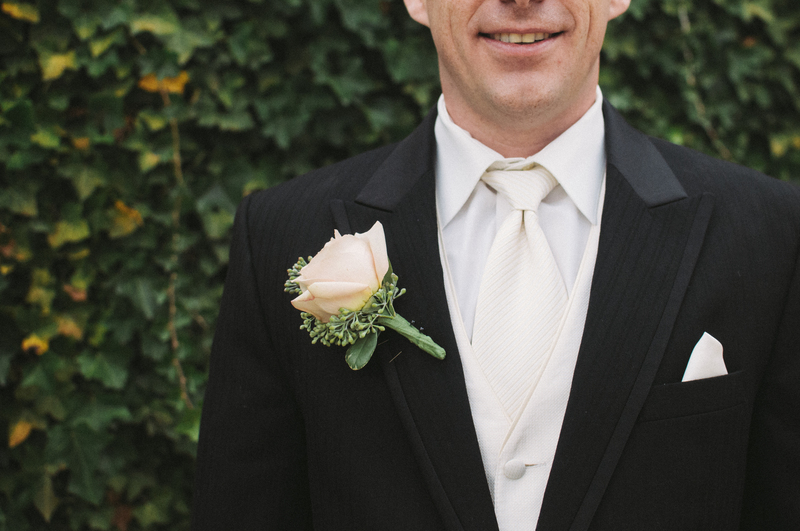 These days, most guys pick a groomsman or two that has moved out of the area. If this is the case your out of town friend(s) will have to call in their tuxedo measurements. In some instances, the out-of-towner may not even get his tux until the morning of the wedding. In these situations it becomes even more critical to insure that your measurements are correct. Please request that your friend(s) go to a professional near around the area for their fitting. 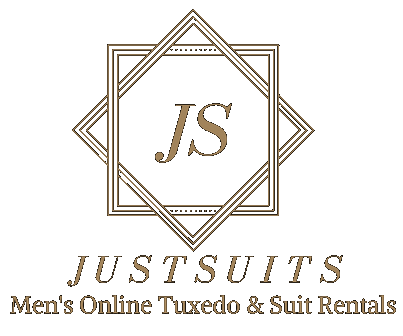 JUSTSUITS will provide you with the fitting information needed. This should be a no-brainer, but just in case… For your height, stand straight up, back against a wall and measure from the top of your head to the floor without shoes. Determine your weight using an accurate scale (and don’t lie). Tuxedo pants have a longer rise than most Dockers or jeans do. Dockers and jeans are cut at a lower angle than dress slacks. Dress slacks are cut straight across in the waistband. Tuxedo pants and dress slacks are intended to be worn higher on the waist. To find the proper fit, measure just above the hipbone across the navel. Insert a finger or two between the measuring tape and your body to allow room for that big wedding day dinner. Some guys give their waist size based on their jeans waist size. Some of these guys have larger bellies that wear their jeans below the belly. If this is the case that means the guy that is saying he’s a 34 in the waist is most likely a 36 to 38 in the waist when he pulls his dress slacks up just under the navel. With the tuxedo pant having a long rise (pleated or flat front) the pant will sag in the front and rear if he chooses not to give the proper size or not wear the pant up on the waist where it should be. I also recommend suspenders that will not only keep the pants up on their waist but will keep you looking well dressed when you come out of the tuxedo top. Keep in mind that tuxedo pants do not have belt loops. So if you have a nice size belly it will help to wear suspenders and keep your pants up on your waist. After your waist is measured you need to make sure that your hips will be able to fit into the tuxedo pants without pulling. This is usually not an issue, but you should take the measurement to be on the safe side. The tape is directly placed around your pants and around the largest part of the seat. With shoes off and your slacks pulled up right under your navel; stand straight up, You’re going to measure from the rear (not from your side) place the tape at the top of the waist band from the rear, Run the tape down to the floor and subtract ½ inch. This measurement will determine the length of your pant.Wearing jeans or short low below the navel and keeping athletic shoes on will not help determine the length. Please remove shoes and request that dress slacks be put on you for the perfect fit. The over-arm is measured with the coat off, around the body in the same manner and position where the chest was measured, but this time including both arms. The normal difference between these measurements and the chest is 8″ unless you are muscular. Place the tape low on the neck where the shirt collar normally falls. Run the tape completely around the neck. Make sure he or she is not angry at you for any reason (LoL). Allow a finger space between the neck and the tape. This measurement is for the shirt sleeve length which can also help to determine the coat length. With your arm straight down at your side, the tape at the base of the neck in back. Run the tape across the top of the shoulder, and down the arm to a point about one inch below the wrist bone. Please do not provide tennis shoe sizes. Keep in mind that some guys make the mistake going with a longer shoe because he has wide feet. Please have your foot measured by a professional to insure proper fit.